Martina Asbury works with business, operations and project teams to support the planning, execution and control of large capital projects to achieve business objectives and best in class cost, schedule and safety performance. 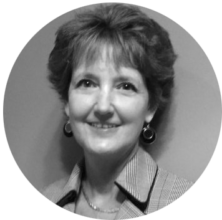 With a degree in Chemical Engineering, she has 35 years’ experience in oil and gas upstream, refining, petrochemicals and pipeline industry segments in project management, project portfolio efficiency improvements, project team integration, stakeholder engagement, and change management. Leveraging her extensive experience, she supports business leaders, owners and contractors in building and improving organizations/teams through building strong leadership teams that deliver. Martina has performed interventions that have driven alignment and reduced risk in over 200 major capital projects and portfolios ranging from USD 500 Million to USD 25 Billion. Martina’s strength lies in her ability to rapidly assess and discern technical and work process root causes of issues, conflict and communication breakdowns and engage leaders in solutions that mitigate negative impact to business results. She utilizes her unique combination of experience with both successful and troubled projects and her interpersonal skills to generate desired outcomes in individual and team performance.